When you work in law enforcement, you need to know the language. Police officers use terms like APB (all-points bulletin), BOLO (Be on the lookout), PO (parole officer) LSW (last seen wearing) and DOA (dead on arrival). And, in police work, good communication can mean the difference between life and death. In order to meet the needs of businesses and commercial properties, it’s important for an HVAC contractor to speak their language. Good communication is the essential foundation for a strong relationship in which an HVAC service provider can meet the unique goals and objectives of commercial establishments. At Texas Air Authorities, we speak your language. But that’s not all. We’ve been working with commercial customers for decades so we understand your needs—whether you’re operating a large industrial space, a medium-sized office or a corner store. We will provide you with the heating and cooling system that meets not only your needs, but the needs of your employees and your customers. We’ll install and maintain it in a manner that exceeds your expectations. We know that comfort is critical to the success of your business. We’re also aware that HVAC systems account for 40 to 60 percent of the energy used by most commercial establishments. That’s why we’ll provide you with reliable, efficient and affordable options. 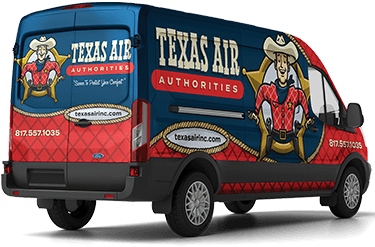 Texas Air Authorities is the contractor that commercial operations trust for all of their cooling and heating services in the Arlington, TX, area and beyond. We are the authorities when it comes to handling your HVAC challenges. Our maintenance plans are custom-designed for businesses and commercial properties. Our plans will keep your systems operating safely, economically and efficiently even through the most challenging days of the winter. You can examine the evidence here. To learn more about the benefits of routine maintenance or to schedule maintenance service, call 817-402-3576 or fill out our online form today! Texas Air Authorities is the only investigator you should trust for your commercial heating needs. Our training, experience and expertise make us superior marksmen. See for yourself. Fill out our online form or call us at 817-402-3576. Worried about your budget? We have affordable financing options to help bail you out.